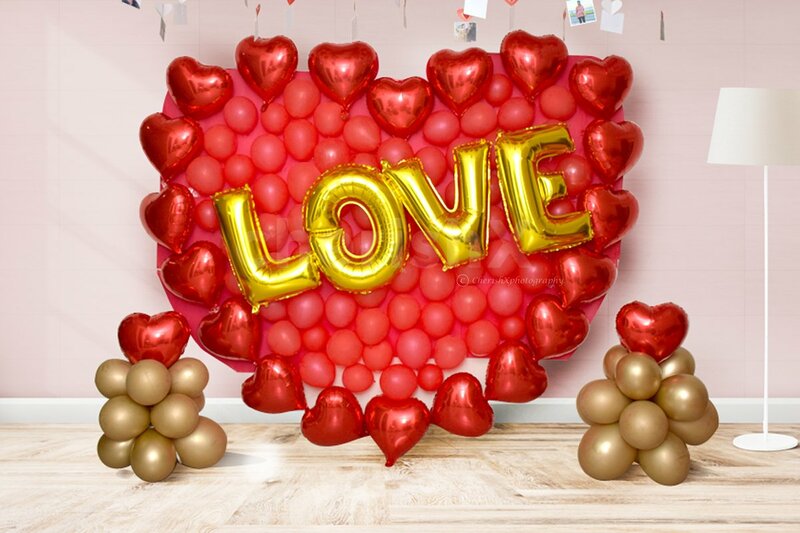 Say 'yes' to this romantic love-themed decor when you propose to your partner! "One of the most special feelings is the feeling of being in love. And one of the most special moments in anyone's life is when they express their feelings to their loved one, crush, or special someone! When proposing to someone, propose in style and make the memory an unforgettable one. Our exclusive proposal decor has been crafted by our decoration experts just for this purpose- so that he/she says a definite 'yes' when you pop the big the question! 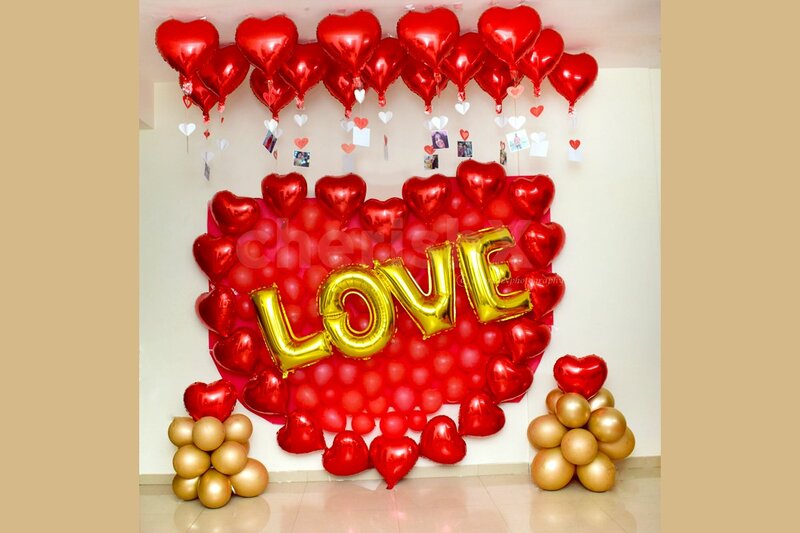 This beautiful, romantic, and red-themed package consists of 18 red heart-shaped foil balloons stuck on the cieling with your photos hanging from them, 3 strings of heart hangings, 20 heart-shaped foil balloons used to form a big heart on the wall, 60 red normal balloons used to create big heart-shape on the wall, 1 large lettered foil balloon that says 'LOVE', and 24 golden chrome balloons to create centrepieces. Whats more, this decoration will be done by our team at your home or a location of your choice. So dont wait, buy now and propose before it's too late! 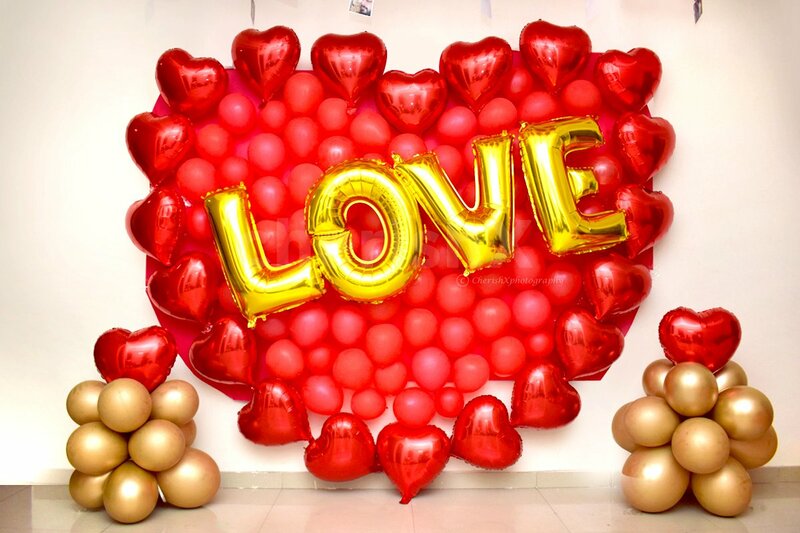 This decor can also be used to decorate your anniversary party or any other surprise just to make your partner feel special. You can also get it done to provide the perfect backdrop for a romantic pre-wedding shoot or a bridal/wedding shoot, etc. 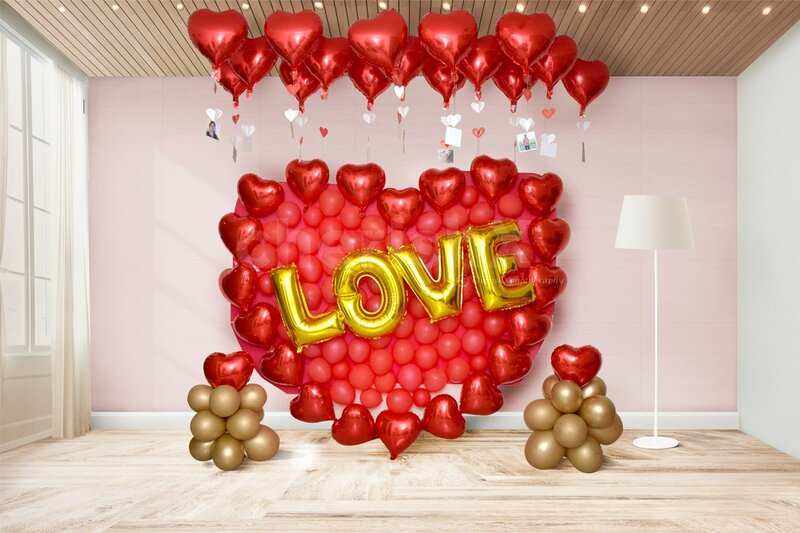 Everyday is a celebration when you're in love, so keep the romance alive in your relationship by getting this decor done in your home to provide a love-filled and exciting ambience. To make this experience all the more better and more fun, we have some unique and thoughtful customisations for you. Sweeten the occasion by cutting a delicious chocolate cake with your partner, or surprise them with a beautiful bouquet of 20 roses. Theres a lot more to choose from-just check out our cool add-ons from below!"